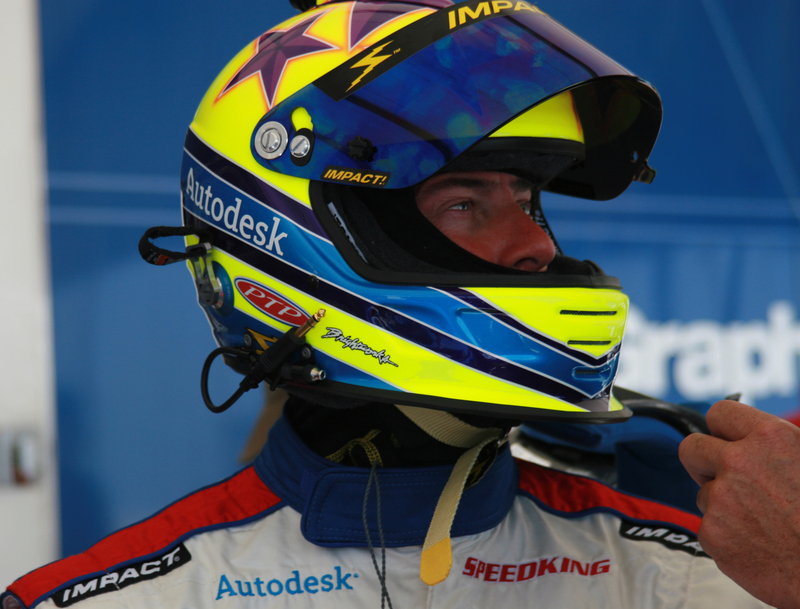 A racer's helmet is the most safety-critical piece of equipment in motorsports. And like other technologically advanced components, the helmet has become staggeringly sophisticated, costing huge sums of money. Wicks started wearing Bill Simpson's helmets during his motorcross years and is now using Impact Race Products exclusively throughout his autoracing and motorboating career. The helmet is also a glamorous piece of equipment for fans to distinguish which racer is in the cockpit. Each racer chooses their own color and design, with a delicate balance between corporate identity and outrageousness. Wicks' helmet can be easily recognized, being adorned with his unique star pattern. Mark Buzie, known as the "Wizard" for his creativity and magical style with paint, is the owner of BrightWorks Custom Painting. Mark periodically assists Russ in the design of his helmet and has painted Wicks' helmets since 1996.